Horrific tales of fright told around a bonfire during remote backwoods retreats are common among close friends. As each person tests the others' ability to remain calm and resist the urge to look over a shoulder as the sounds of nature bellow out in the backdrop, only one may claim victory as the most frightening of the group. 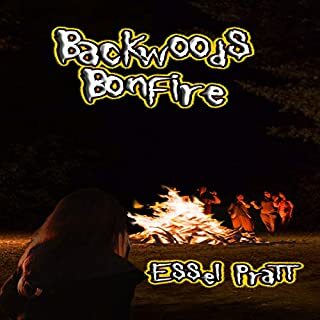 Backwoods Bonfire inserts the listener into a group of friends that unintentionally create a case study on what horror means to them, attempting to coerce the others to believe that horror is specific, not fluid. Backwoods Bonfire? More like a Barn fire! Deep in the North American forests lurks an animal spirit known as the Grishla. The Grishla is so ancient it pre-dates the human race by several million years, and it is so powerful and reclusive only very insightful witches know of its existence. Five hundred years ago, the Dwanake tribe possessed such witches. Drunk on their own power and arrogance, these witches attempted to enslave the Grishla. Enraged, the creature began hunting and killing the Dwanake. Holidays, vacations, birthdays, anniversaries: all times to celebrate, all times to cherish...all times to fear! 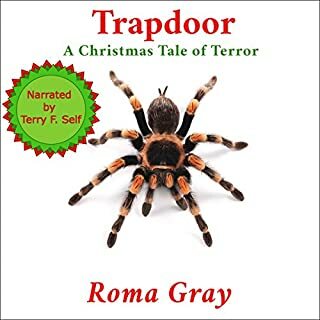 Roma Gray has swiftly and suredly become a favorite author. She has a rare ability to write powerful short stories, stories with heart, with soul, and a sharp knife to cut them out of you by the end of her tales. I have said this before; good short stories are hard to write. It takes a lot to make you care about something in a short piece of time, and she seems to do so effortlessly. I think I have read just about everything she has done, and I have never seen something that was "just ok" or decent. Everything she has done has been excellent, well crafted, and full of heart. So, it should be no surprise when I rave about her Celebration of Horror. The only negative thing I have to say is that there are only five stories in this collection. I really want MORE. Each short centers on a particular holiday, and I think the best was her unique interpretation of vampires on Easter. Just plain killer. I will say that she doesn't drown you in blood and gore. Nope. Most of the horror is what goes on in our own hearts and heads, and that is the only medium she needs to put a chill down your spine. Sincerely, get this book and enjoys a budding master of the written word while you can, you will be glad that you hopped on the train early. Ooops, almost forgot to commend Mr. Self for his fine narration skills. As far as I know, the man has done all of her works, and deservedly so. He really conveys the deeper subtext of her stories, and knows how to build up the suspense, before driving the hammer home. He is easy to understand, and follow (although he will take you down some dark paths). Even though I did receive a promo code for this review it in no way influenced my considerations of the material, and in fact, inspired me to be more honest. In fact, getting a code generally makes me harsher as a reviewer as I am more often concerned what someone like Me will decide based on my review. 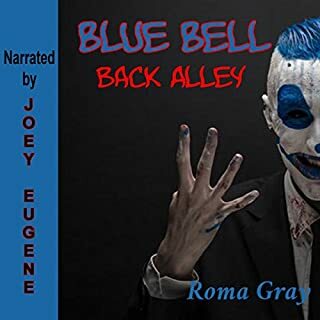 Roma Gray has done it again!! Celebration of Horror, Book 1 is a great compilation of horror stories that will have you wanting to read/listen with the lights on. Ms. Gray's storytelling skills are remarkable and I cannot get enough of her writing. 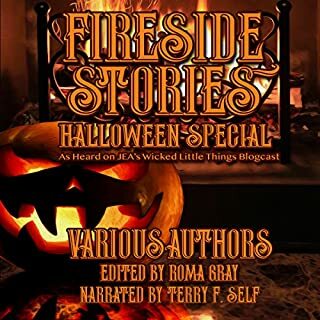 In this compilation, you will find one story relating to Christmas, Easter and Valentine's Day and two relating to Halloween. I enjoyed them all equally well and loved that you learned more about the story (why written, etc) at the end of.each segment. These are all great, creepy stories that will leave you looking over your shoulder at every little bump in the night. Also, I loved the narrator, Terry Self. His voice and inflection while telling the story added an extra level of excitment. Mr. Self definitely would be welcomed around any campfire. I would highly recommend Roma Gray to all. If you haven't tried any of her works, you really are missing out. Thank you again Ms. Gray for a truly frightful tale! This is an anthology from one of my favourite horror short story writers. Roma Gray’s imagination just scares me. This audio begins with the warning that celebrations are a day where we put an ‘x’ on the calendar and plan to enjoy the day with family and friends. But what if something bad happens that day? My best friend died on Christmas Day, BTW. As Roma Gray points out – life is random. There are five holidays addressed: Mother’s Day, Christmas, Easter, Halloween, and Valentine’s Day. I loved Ms. Gray commenting that Valentine’s Day is “the most brutal holiday and that more people have a bad day rather than a good day.” In fact, she titles the story, “All Roads Lead to Hell”. If you have read Ms. Gray’s “Love Letters”, you’ll know that love letters are not always welcome. Ruth is a nurse working in a nursing home. Most of the residents are quietly going off into that good night, accepting of their fate. Not Emily. The nonagenarian woman is fighting tooth and nail to stay alive. Even though the cancer has almost won the battle, Emily is not willing to give up. It isn’t until Ruth comes across Emily’s trove of love letters that she understands why the older woman is so terrified of death. Since this is Roma Gray, there are elements of the supernatural, and of course, the very disquieting. If I were facing Emily’s potential fate, I would fight tooth and nail as well. And the ending was disturbing. All the endings in this anthology are disquieting. If you never loved Christmas, ‘A T-Rex for Christmas’ is not going to change your mind. Halloween freak you out? An old house in Maine might not be the best place to stay during All Hallows Eve. Bad things are bound to happen. These stories create a nice little collection and Ms. Gray promises there will be more. I can only imagine what she can do with New Year’s Eve and the Summer Solstice. Terry F. Self does another great job bringing first the right tension, using volume, tone, and pauses in perfect combination to make a terrifying story. 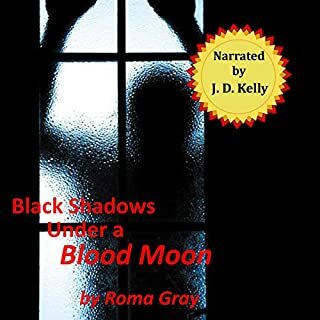 Horror isn’t my fave, but I will always listen to Roma Gray. What way to ruin a holiday! Who can take a joyous holiday and make it a thing of horror? None of than Roma Gray, of course. If the holidays are just a little too happy for your taste, read this book now! These are five quick horror stories dealing with holidays that are under an hour each. I love Roma’s writings. Hearing it on audio is great on a nice fall or winter drive in the dark. The narrator has great inflection and feeling in his voice. I better keep my door locked! This book is a little bit of horror, Christmas. The book is interesting. 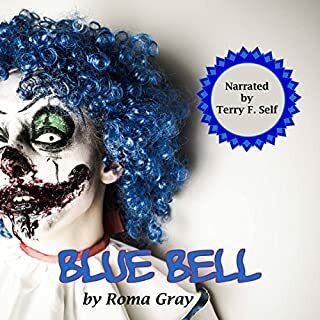 Terry F. Self did a good job as narrator. Liked his voice and how he works. The book is 2 hrs and 19 mins long which I liked. I listened to this very close to Halloween. My mistake but don't let that fool you. This terrifies for any holiday. I know know to beware of all of them. Great stories and great narrator! This book was interesting. I figured by the cover that it was going to be more horror; however, it was just mostly paranormal stories about horrific holiday experiences. I thought the premise was really good--a bunch of scary stories that take place on what seem to be joyous holidays; however, I wasn't floored by any of the stories. I think my favorite one was the Christmas story with the Dinos. But, again, it wasn't scary at all. The cover is definitely misleading. Positives: I really enjoyed the narrator. He had a great voice and for the Halloween story, I swear he makes one character sound like a mix between Christopher Walken and Kevin Spacey. I liked his tone, cadence, and overall vocal work. I also liked the author's notes in between each story. That made me curious to hear how the author came up with each specific story. Roma has a knack for the dark and not so subtle. so lets just get the garden tools out and kill a few people.